Start by curling your hair. Then grab small sections from the top of your hair on each side (as you would for a French braid). Twist each section at the back of your head to create the “half up” section. Finish the look. Secure the bottom of the braid with a hair band. First, pull your hair into a loose ponytail, as high or as low as you’d like it. Don’t use a comb or worry about your strands being perfectly slicked back—the look is effortless. Separate the hair in your ponytail into two or three sections and tease. Separate your teased hair into two sections and wrap the hair in opposite directions, as you would when creating a topknot. But, instead of pinning your hair neatly in, secure your hair with a bobby pin about an inch from the bottom of your strands, leaving the ends to fray around your bun, creating a messy effect. If you feel like the body of your bun is too tight, gently pull it apart with your hands or the end of a comb. We also like to pull a few rogue pieces out around the face. 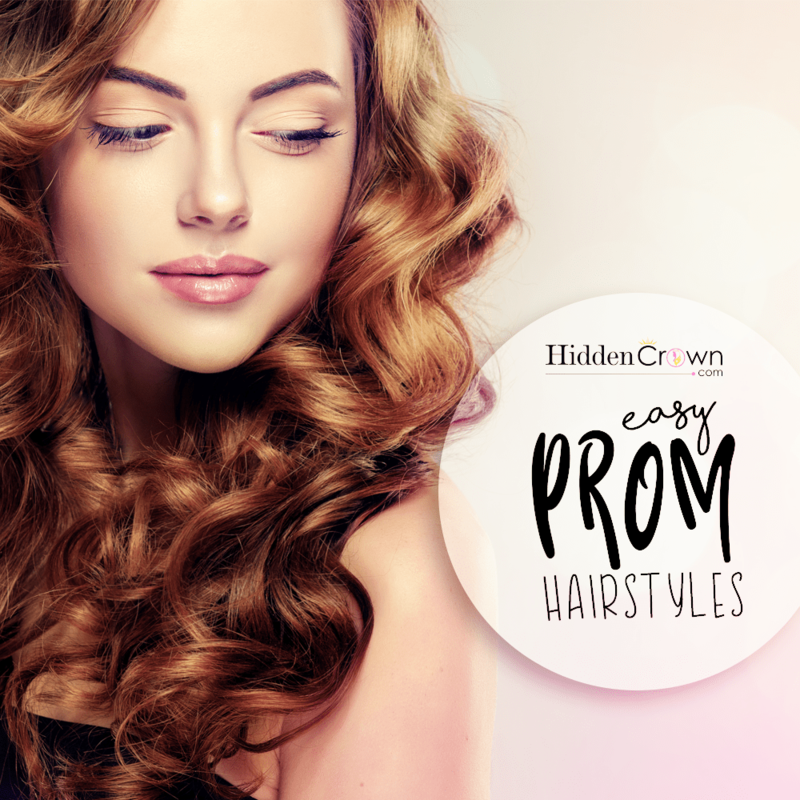 Some of these are easy, others are a little more difficult, but all of them are the perfect DIY prom hairstyles for the big day.